Local time: 16.05/16.45-Pope Francis arrives by air at Havana's Airport, where the official welcome ceremony takes place in the presence of the highest State authorities. I thank, too, all those who worked to prepare for this Pastoral Visit. Mr. President, I would ask you to convey my sentiments of particular respect and consideration to your brother Fidel. I would like my greeting to embrace especially all those who, for various reasons, I will not be able to meet, and to Cubans throughout the world. Geographically, Cuba is an archipelago, facing all directions, with an extraordinary value as a “key” between north and south, east and west. Its natural vocation is to be a point of encounter for all peoples to join in friendship, as José Martí dreamed, “regardless of the languages of isthmuses and the barriers of oceans” (La Conferencia Monetaria de las Repúblicas de América, inObras escogidas II, La Habana, 1992, 505). 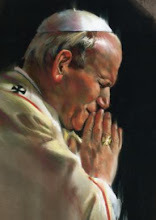 Such was also the desire of Saint John Paul II, with his ardent appeal: “May Cuba, with all its magnificent potential, open itself to the world, and may the world open itself to Cuba” (Arrival Ceremony, 21 January 1998, 5). Cuban President Raul Castro praised Pope Francis' critiques of the global economic system, saying it has "globalized capital and turned money into its idol." In a lengthy speech welcoming the pope at Havana's international airport Saturday, Castro said Cuba's communist government has "founded an equitable society with social justice." The people and government of Cuba welcome you with profound affection, respect and hospitality. We feel particularly honored with your visit. You will see how deeply we love our homeland, for which we are capable of the greatest sacrifices. We have always followed in the steps of the heroes of our America, who bestowed upon us their honor, courage and generosity. It is from them that we have learned to exercise Marti’s axiom that homeland is Humanity. The memorable meeting we had last May in Vatican City offered an opportunity to exchange ideas on some of the most important issues related to the world we live in. The peoples of Latin America and the Caribbean have decided to move forward with integration, in defense of our independence, sovereignty over natural resources and social justice. However, our region still shows the greatest disparity in wealth distribution. In this continent, legitimate governments working for a better future are facing numerous attempts at destabilization. We have closely followed your statements. The apostolic exhortation known as "The Joy of Gospel" related to social issues, and the encyclical "Praise Be To You" related to the future and care for the planet and humanity, have moved me to a profound reflection. They shall be references for the next Summit on the Post-2015 Development Agenda to be held at the United Nations this month, and the 21st International Conference on Climate Change scheduled for December in Paris. An increasing global impact has resulted from your analysis on the causes of these problems and the call to safeguard the planet and the survival of our species; to cease the predatory action of the wealthy nations and the big transnationals; and, to remove the dangers threatening us all due to the depletion of resources and the loss of biodiversity. As his Holiness has rightly indicated: "Humanity should become aware of the necessity to change life styles as well as production and consumption patterns." At the UN Conference on Development and the Environment held in Rio de Janeiro in1992, Fidel Castro, leader of the Cuban Revolution, raised the necessity to save humanity from self-destruction; to make a better distribution of wealth, knowledge, science and technology in order to attain a sustainable development; and "to make hunger, and not nan, disappear." The current international system is unfair and immoral. It has globalized capital and turned money into its idol. It makes people become simple consumers, and instead of disseminating knowledge and culture, it alienates them with behavior patterns and reflexes promoted by means that serve only their owners’ interests, that is, the transnational media corporations. The deep and permanent crisis falls harshly on the Third World countries, albeit in the industrial world it also affects the disenfranchised, the minorities, the young unemployed and the helpless elders as well as those seeking refuge from starvation and conflict. What immigrants and the poor are going through stands as an offense to human conscience. They are the outraged of the world claiming for their rights and the end to such injustice. In your remarks to the world meetings of Popular Movements held in October last year at Vatican City and in July this year at Santa Cruz de la Sierra in Bolivia, you reiterated the necessity to practice solidarity and to struggle together against the structural sources of poverty and inequality; for man’s dignity and his right to the land and to work; and for a roof to give him shelter. It was to conquer such rights, among others, that the Cuban Revolution was undertaken. Those were the same rights that Fidel advocated in the historical defense argument known as "History Will Absolve Me." It is to build a society with more justice and solidarity that we have made extraordinary efforts and taken the greatest risks ever since the revolutionary victory. And, we have done while blockaded, slandered, and attacked; and paying a high toll in human lives and economic damages. We have founded an equitable society with social justice and extensive access to culture, attached to traditions and to the most advanced ideas of Cuba, Latin America, the Caribbean and the world. Millions of people have recuperated their health thanks to Cuban cooperation: 325,710 collaborators have provided services in 158 countries; today, 50,281 Cuban healthcare workers are providing services in 68 nations; thanks to the "Yes, I Can" educational program, 9,376,000 people have left illiteracy behind in 30 different countries, while more than 68,000 students from 157 countries have graduated in Cuba. We keep advancing with determination in the updating of our economic and social model to build a prosperous and sustainable socialism focused on human beings and the family, and with the free, democratic, conscious and creative involvement of the entire society, particularly young people. Preserving socialism is tantamount to securing independence, sovereignty, development and the well being of our nation. We are firmly determined to face every challenge and build a just and virtuous society with high ethical and spiritual values. As the honorable priest Félix Varela indicated, "We want the future generations to inherit from us the dignity of man, and to remember what it takes to recover it so that they fear losing it." Regional unity, identity and integration should be defended. The Proclamation of Latin America and the Caribbean as a Peace Zone, signed by heads of state and government at the 2nd Summit of the Community of Latin American and Caribbean States held in Havana in January 2014, establishes a set of commitments of crucial importance such as: the peaceful solution of controversial issues in order to definitely remove the use, and the threat of the use, of force in our region; the prevention of direct or indirect interference in the domestic affairs of any other state and respect for the principles of national sovereignty; the equality of rights and free determination of the peoples; the promotion of friendly relations and cooperation among themselves and with other nations; and, full respect for the inalienable right of every state to choose its political, economic, social and cultural system as an essential premise to ensure peaceful coexistence among nations. Concerning Cuba, the purposes and principles consecrated in the United Nations Charter are fully valid. Only respect for them can ensure international peace and security, which at the moment are increasingly challenged. We found extremely interesting his Holiness remarks during the commemoration of the 70th anniversary of the nuclear strikes on the cities of Hiroshima and Nagasaki. The existence of nuclear weapons threatens the very survival of human beings and constitutes an affront to the ethical and moral principles that should guide relations among nations. The use of such weapons would bring about the obliteration of human civilization; therefore, advocating disarmament, particularly nuclear disarmament, is not only the duty but also the right of all peoples in the world. We have expressed our appreciation for your support to the United States-Cuba dialogue. The reestablishment of relations has been a first step in the process toward normalization of the relationship between the two countries, which will demand resolving problems and correcting injustices. The blockade, which causes human damages and privations to the Cuban family, is cruel, immoral and illegal, and it should cease. The territory usurped by the Guantanamo Naval Base should be returned to Cuba and other issues resolved, too. Such fair claims are shared by the peoples and the overwhelming majority of governments in the world. This year we are celebrating the 80th anniversary of uninterrupted relations between the Apostolic Holy See and Cuba. These relations are good and continue to favorably develop on the basis of mutual respect. Relations between the government and the Catholic Church in Cuba are developing in a gratifying atmosphere, the same as with every denomination and religious institution represented in the country that promote moral values recognized and enhanced by our nation. We exercise religious freedom as a right consecrated in our Constitution. We attach full meaning to the presence of his Holiness in our homeland. We feel that it will be a transcendental and enriching experience for our nation that he meets with our industrious and educated people, our selfless and generous people that treasure profound convictions and patriotic values, and are willing to continue their heroic resistance and build a society capable of ensuring the full development of men and women, with dignity and justice. On behalf of this noble people I offer you the warmest welcome.